This year, I thought it would be nice to do something a little different to the classic chocolate advent calendar. I got the idea for this advent calendar from Zoella’s vlogmas and it looked like so much fun! It’s like doing a treasure hunt everyday. You basically get a riddle each day and then find the advent present. You can use whatever presents you want. You can do chocolate presents, things that you’ve baked, stocking fillers, things to decorate the house with at Christmas and the list goes on! I went for a variety of different things. I’ve yet to begin the treasure hunt however it looks fantastic! It’s a nice alternative to a classic advent calendar and you can put whatever you want in it! Here is some ideas of making your own and how I made my advent calendar. Advent Present Ideas: You don’t have to spend a lot on it. You could hide chocolate coins or baked goods for a cheaper option. However, if you wanted it to be a bit more luxury you could add some nice Christmas pyjamas, Christmas books or even a White Company Winter candle. It’s also nice to personalise the present depending on the person you’re doing it for. For example, if they liked photography, you could get them a memory card or lens. 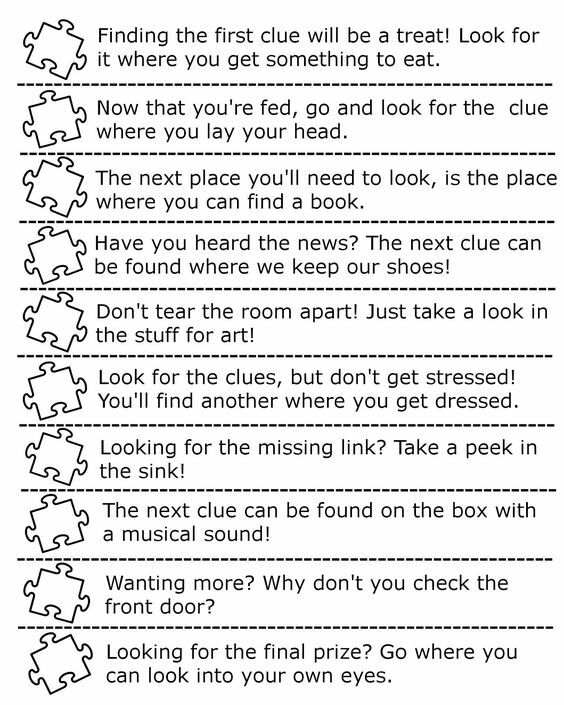 I used a lot of these clues but took out the last word so they had to guess! I hope you liked the first post of 12 days of RebeccaRose. Christmas is my favourite time of the year so it only seemed right to do some Christmas themed blog posts! I put up my tree yesterday and decorated my room with festive bedding. I feel so ready for Christmas now! Have you decorated for Christmas yet? If so, how did you decorate it?